Just my luck I would have to start learning about Chocomize Chocolate Bars visiting their twitter page with a big photo of the latest tweet. It simply says "Know a Gourmet Chocolate Fan" along with a picture full of custom chocolate bars where you can buy the entire set. Yes no doubt about it, I'm already hooked on Chocomizing my own Chocolate Bars. 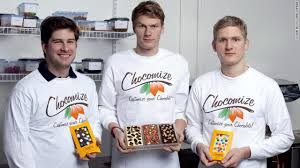 The Chocomize Chocolate Bars Business was first envisioned by Eric Heinbockel who soon brought in Fabian Kaempfer and Nick LaCava to get this business kick started. All three were fresh out of college and couldn't find jobs so they did what every inspiring entrepreneur does, they created their own. Starting with an initial $70k in working capital, the Chocomize Business grossed over $400k in the first year alone and has continued to grow at a rapid pace as word is quickly spreading. How many of the 7+ million Shark Tank Fans are also chocolate lovers and will want to customize their own bars after episode 511 airs will bevery impressive indeed. The Chocomize Bars starts with either pure bars of dark, white or milk chocolate. You then have your choice of over 100 toppings to top off the best tasting chocolate bar made just for you. For a sample of the most popular products Chocomize already has created two full pages at Amazon for instant ordering of the Chocomize Chocolate products . One of the most ingenious products they offer is the Hot Chocolate on a Spoon where you simply stir into hot water for a perfect cup every time. Heinbockel, LaCava and Kaempfer also offer specially packaged Chocolate Bars for Birthday's, Holiday's and even one for Graduating. Chocolate is probably the most loved food in this entire world almost everyone loves. Go to any store anywhere that sells candy and you can bet chocolate is the #1 best seller. This multi-billion dollar market covers everything from the Hershey Bars of the world that are massed produced by the millions, to the customized Chocolate Bars made with the very best ingredients available. Chocomize is looking to take a big bite out of this lucrative "custom" market which does come with a premium price. Will the Sharks be interested investing in this very customized business? I can't believe I'm saying this again, but less than one week before Shark Tank Episode 511 airs there's not a single mention by Eric Heinbockel, Fabian Kaempfer or Nick LaCava on any of their Social network sites that I could find. The Chocomize FaceBook page alone has over 35,000 Likes which makes this business one of the most likable businesses before their Shark Tank appearance, but they are choosing not to acknowledge they are about to go on the Best Business Reality Show on TV in History. 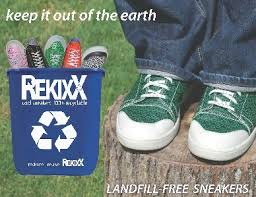 Who knows, maybe dealing with this customized product they already have more business than they can handle and wisely spending their time getting ready for the flood on new customers thats coming their way after the Shark Tank Show. 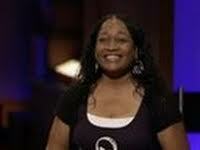 Sadly, I watched Chocomize on Shark Tank dated September 7, 2014, and none of the Sharks got involved in the product. 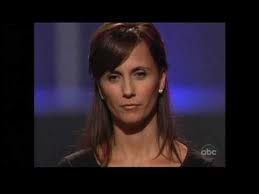 Yes, we watched Shark Tank Sept 7th episode too. Lately the Sharks are getting rather "nasty" with their comments. I know they are investing their personal money and I respect their opinion when they say they are out but just because some people's ideas do not fit they should leave it there if they cannot offer constructive criticism.